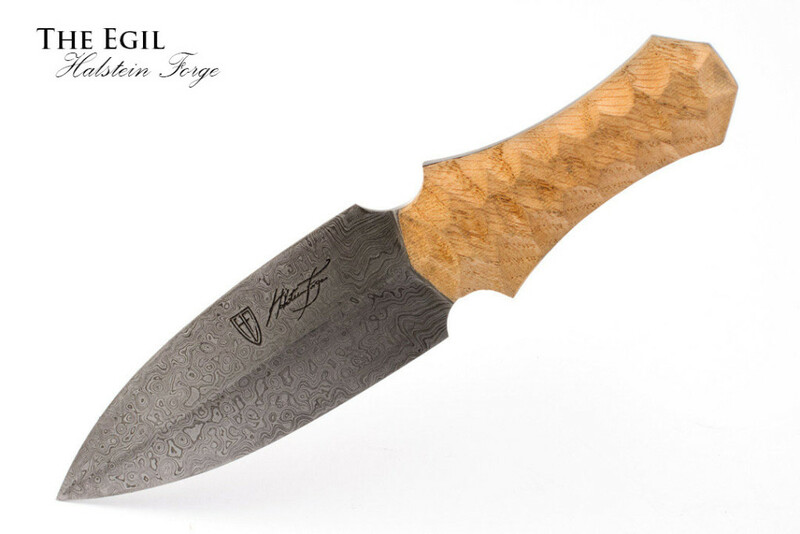 The Egil, meaning respect, is forged with blend of blend of 1075 and 8670m steel, giving a stunning contrast to the folded steel layering. 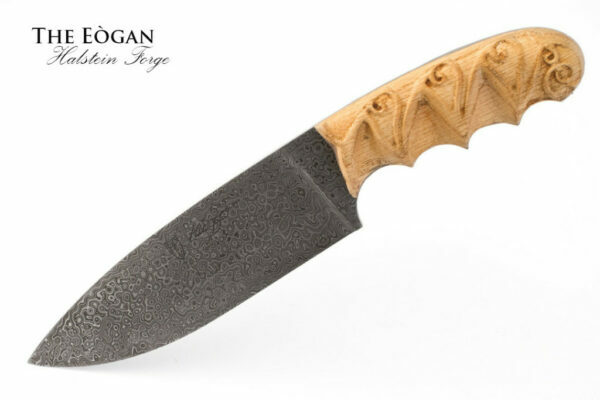 Survival knives are an absolute staple for a wide variety of outdoor activities. 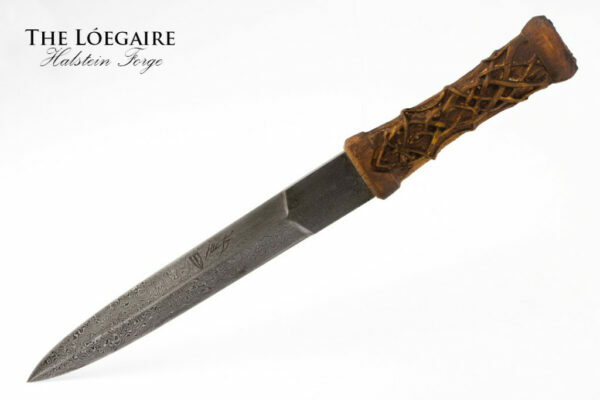 From hiking to hunting, camping to military exercises, there is almost no venture that one could embark on in the wilderness where a knife would not be useful, if not outright essential. 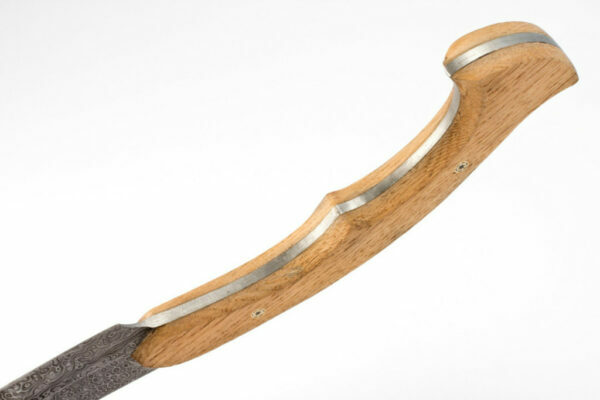 With a simple knife you can build a shelter, make a fire bow, make tools, make and set snares, hunt, defend yourself from adversaries (both human and otherwise) – a good knife is the basic equipment needed to make living off the grid, even for short periods of time, possible. 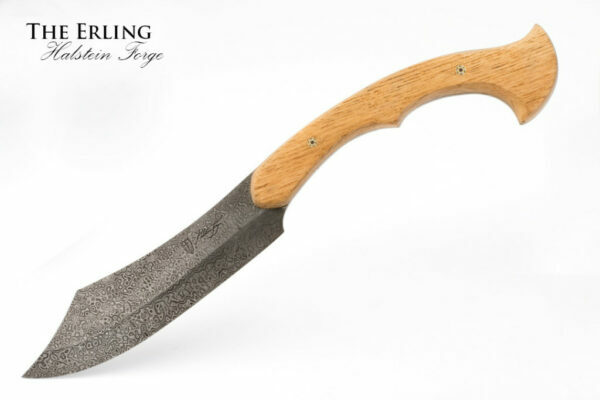 Nearly every worthwhile field guide makes the assumption that, whatever your circumstances in the bush may be, you have a knife with you. 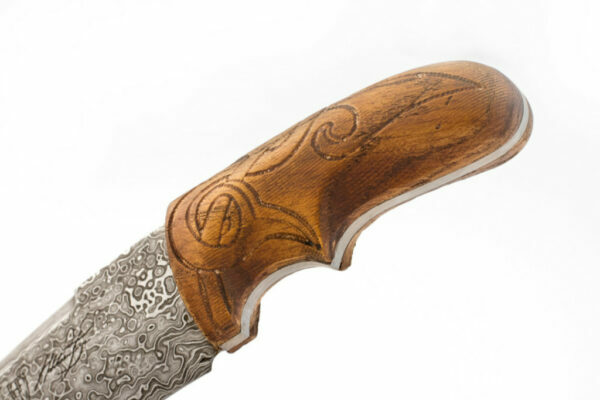 It’s not just a good idea to have one – it can be the difference between life and death. 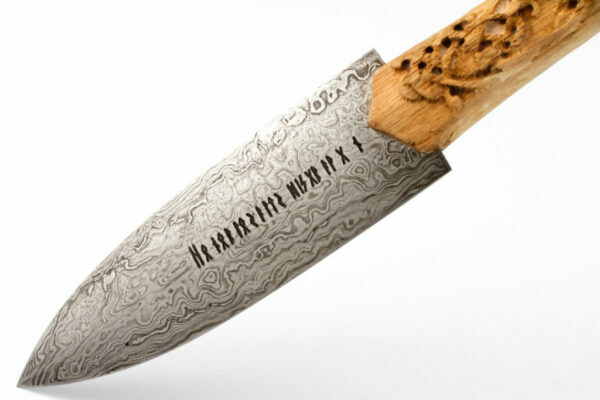 Hence the name – survival knife. 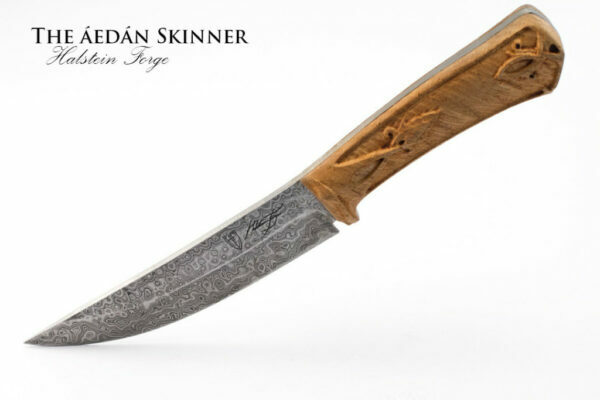 The Halstein Forge Egil knife is a classic survivalist knife with a unique flair. 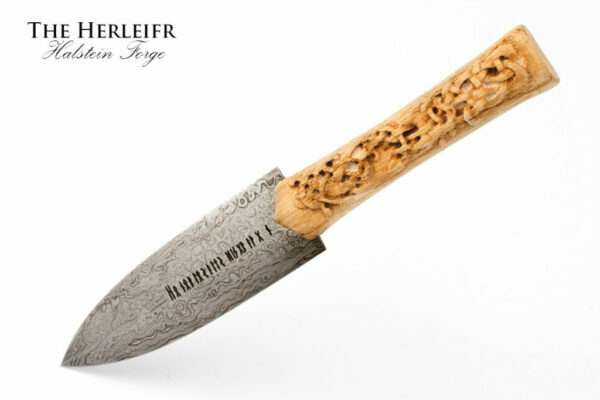 This knife has Germanic influences, which can be seen in the shape of the short, double edged, spearpoint style blade. 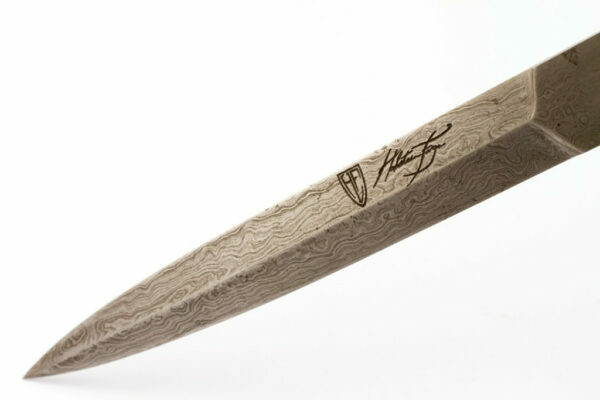 The blade is hollow ground and has a raised center ridge for strength. 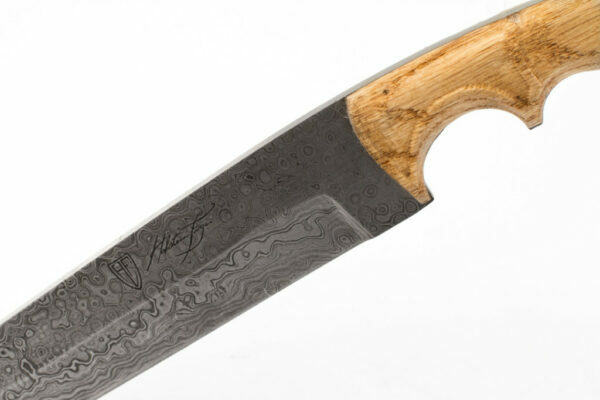 The point at which the blade and handle meet has two wide grooves suitable for holding a finger for extra maneuverability. 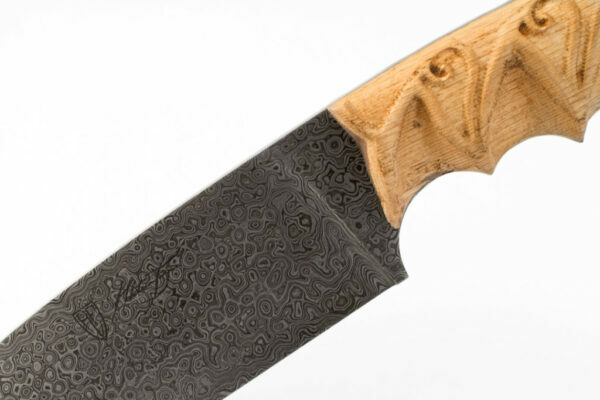 The thick, solid tang is clearly visible between the two slabs of oak that make up the handle. 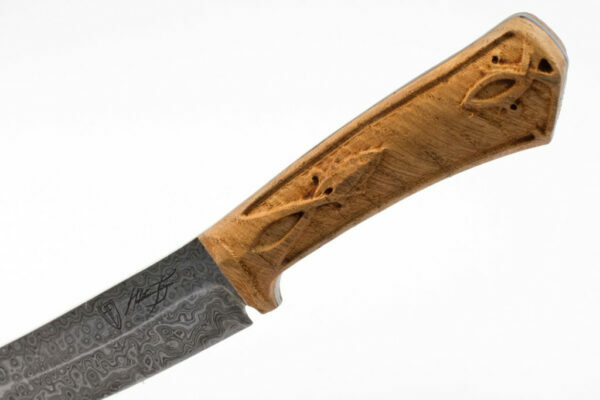 The oak itself has a “chiseled” appearance, which adds extra grip – useful when using a knife with cold or slippery hands, not an uncommon occurrence in the bush. 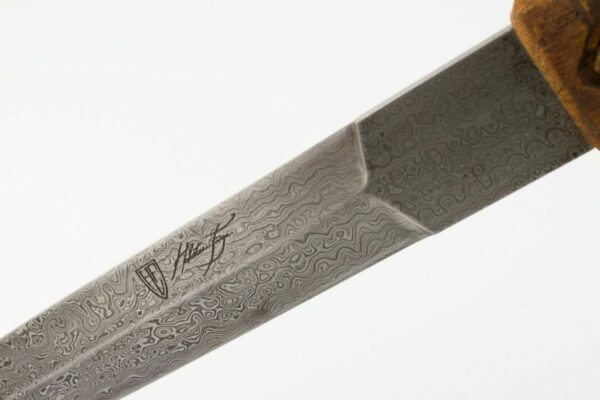 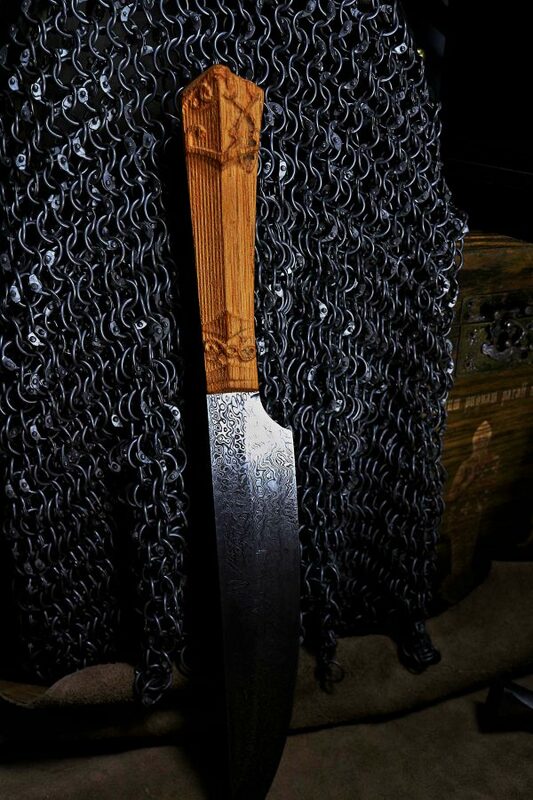 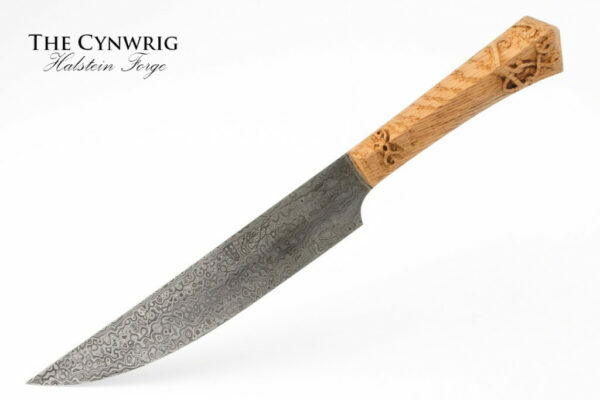 While the blade of the Egil is in a Damascus pattern, make no mistake – this knife is not meant for display. 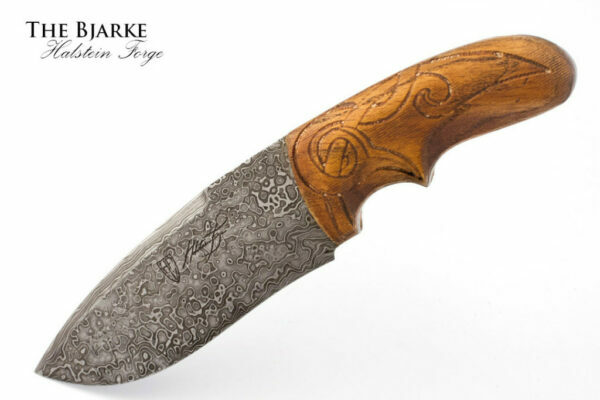 Despite its beauty it is just as much a survival knife as any other. 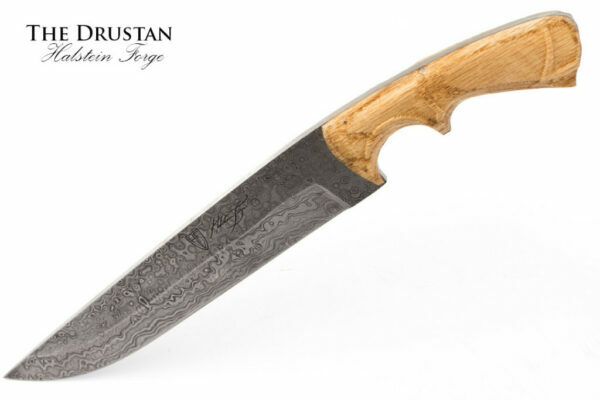 The blade is tempered and sharp, the tang robust, and the construction sturdy. 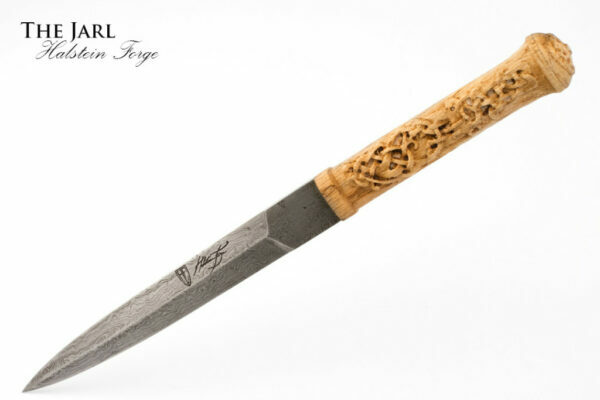 The Egil is Halstein Forge’s take on the survival knife, and we expect that it will live up to your standards no matter what you rely on it for.